It is without doubt the world's most important variety and also of Spain, because in our country, about 50% of olive plantations are picual. Specifically Andalusia is the region that produces this variety worldwide, highlighting in particular: Jaen, Cordoba and Granada. Its area is about 600,000 hectares. Regarding to what interests us, the extra virgin oil derived from the Picual variety is excellent for our health and body precisely because of its fatty acid composition and quantity of natural antioxidants. It is high in monounsaturated oleic acid that prevents cardiovascular disease, low in linoleic acid (which is essential to the human diet but not excessively) and a high content of polyphenols. All these features lead us to the most stable extra virgin olive oil, thus having a longer period of life and being excellent for everyday use in our kitchens because of its behavior in the face of thermal is excellent. Given its size, there are a large variety of picual oils whose characteristics are often different if we are in plain or mountain, because in the first case, in plain, we will meet with oils with great body, normally bitter and some wood flavor; while mountain, are usually sweeter, cool and pleasant. We may find in the market countless picual oils and most likely is we could doubt which one to choose. 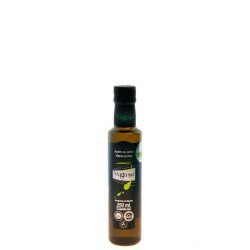 For this reason our experts have selected for you some of that in our opinion has a better value, many of them winners of the best fairs Virgin Olive Oil. Do not miss this opportunity and try our list of oils. 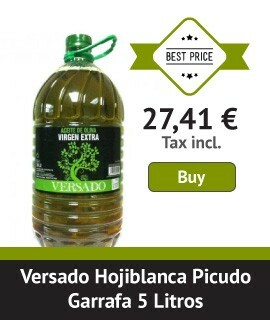 Aldea de Don Gil is an extra virgin olive oil of high quality blend, blend of: Hojiblanca, Picudo and Picual whose properties are unique and special for our Mediterranean diet. Its format in a can preserves for longer its properties because light does not penetrate directly. It is a virgin extra very rich in natural antioxidants. It is a very balanced oil with great strength that is characterized by an intense green fruity where the notes of green tomato, fig and banana are very prominent. 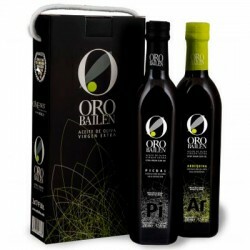 Oro Bailen is an extra virgin olive oil whose superior quality gave it numerous awards and had been chosen, for several years, the best oil in the world. This Picual oil variety has a greenish hue, clean and bright, with high intensity. The palate is delicate and it can be noticed a slight bitterness that later will become a nice spicy.